News of the next time exhibition postponement.The next time exhibition was going to exhibit the textile work in the beginning of May.However, it will be held on account of the artist in autumn.We have Star Festival of the neighborhood gallery cosponsorship in July.The artist of the next time exhibition is not textile relations, but announces it as soon as we can.Support it continuously; thanking you in advance. 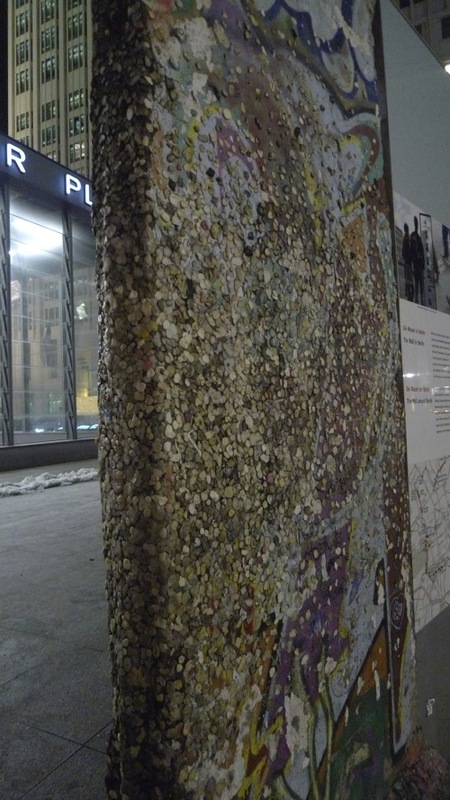 The publication photograph mentioned above is Berlin Wall displayed in the city. All the texture is chewing gum, even though you can see like “scrubbed finish” technicques. I thought that it was beautiful if you said that it was beautiful.